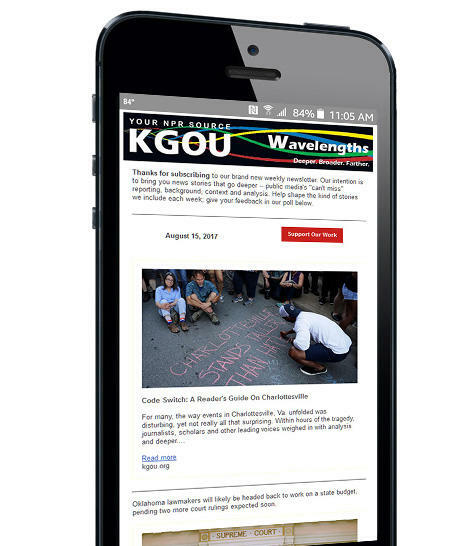 There are several ways you can learn more about KGOU. Of course, listening is one way, on the air and through smart phone apps, along with going to our website, KGOU.ORG, for streaming audio, news and information about our operations and programs. You can also connect with us on social media. We’re on Facebook and Instagram, and on Twitter, we are @kgounews. Links to our social media pages are on the KGOU.ORG home page.